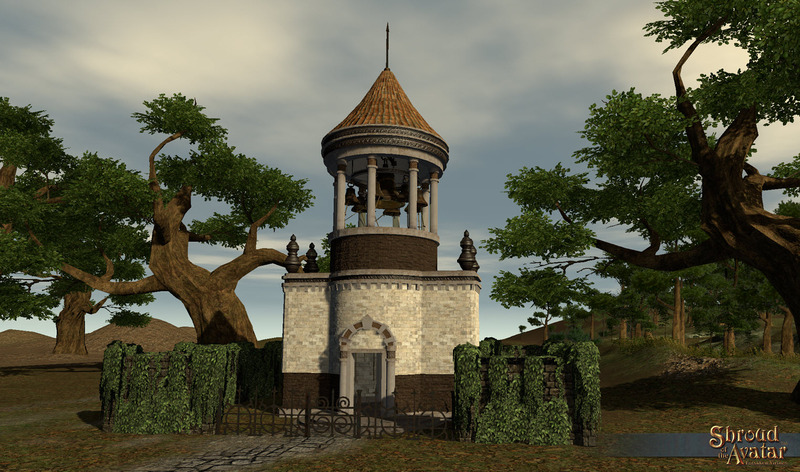 Update of the Avatar #124 – 2015.05.08: PaxLair Maze, Birko’s Novia Map, Community Street Names, Steam Achievements, Fez Hat Video, New Fansite Kit, and More! Riya and Net have four events planned for their maze this Release. The next event is scheduled for this Sunday, May 10, at 1:30 pm CST. See Sindariya’s R17 Events Forum post for more details. 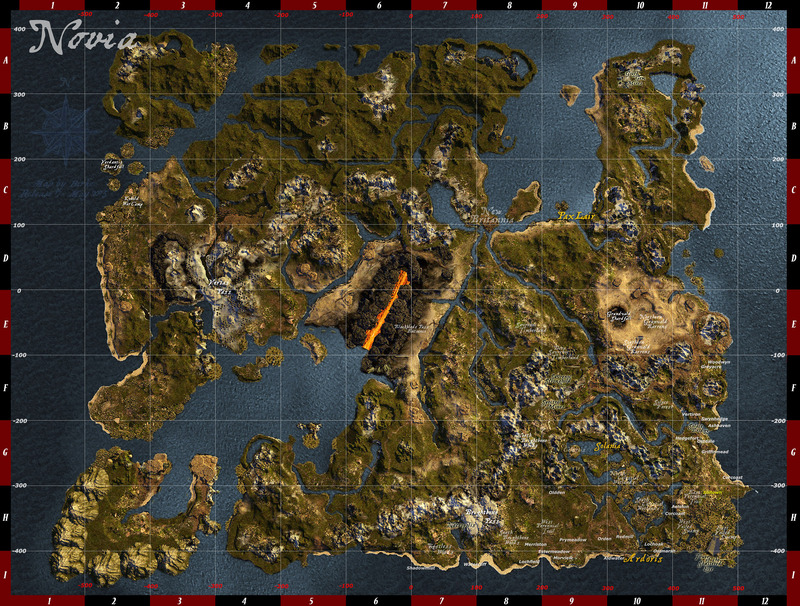 Community member Birko recently posted a customized map of Novia in the forums that looks so cool, we just had to share it! 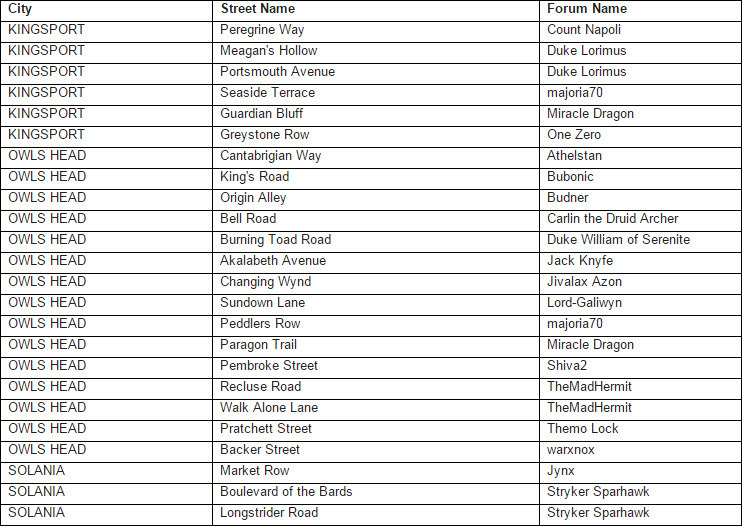 Special thanks to everyone that posted street name suggestions in the forums. Below is a list of 24 of those community contributed names that we selected for streets in Release 17, and the community members that contributed them. 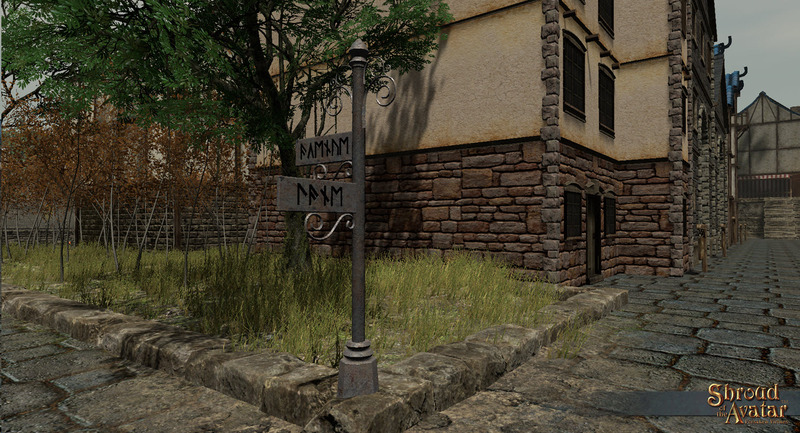 We have many more community contributed street names approved for use so look for them in future Releases. 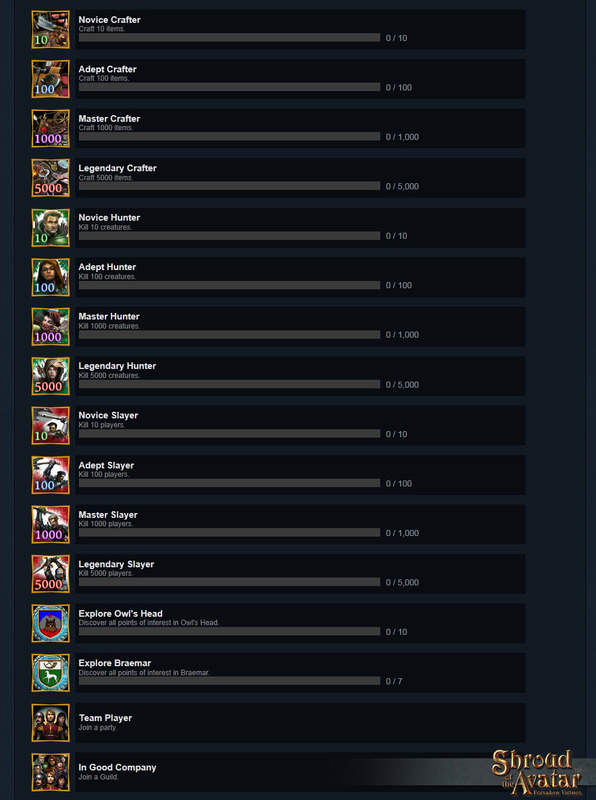 With the launch of Release 17, players were able to start earning Steam Achievements, of which there are currently sixteen (and a few hidden ones as well). These achievements are for Steam only. We do not currently plan for them to be visible in-game for Episode 1. Bob Cooksey recently built this beautiful Bell Tower to Lord British’s specifications (including the future ability to ring the bells by pulling on the ropes). Look for this NPC building in an upcoming release! 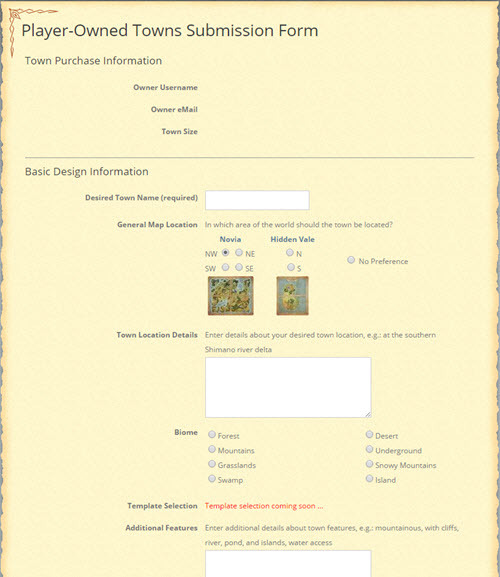 Just as in our last several releases, we’ve included a Grand Tour Quest designed to guide you through all the new content. This release, you will be able to get the Fez Hat reward by completing the Release 17 Grand Tour Quest. This reward can only be unlocked during Release 17 (did someone say rares? 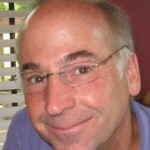 ), so be sure to log in soon and talk to all the Tour Guides! We will be giving some really awesome prizes during the 90 minute extended Hangout, and all you have to do to qualify for one is to come hang out with us in the IRC chatroom during the broadcast. As always, the link to the hangout will be posted here directly before the hangout begins. *Please keep in mind that questions and feedback related to Release 17 specific topics will be given priority and really verbose questions may be skipped, as they can be a challenge to shorten and summarize live on the air. In brief… please keep your questions… brief. Many thanks to Themo Lock for the screenshot.Did someone say that attendance is clothing optional? 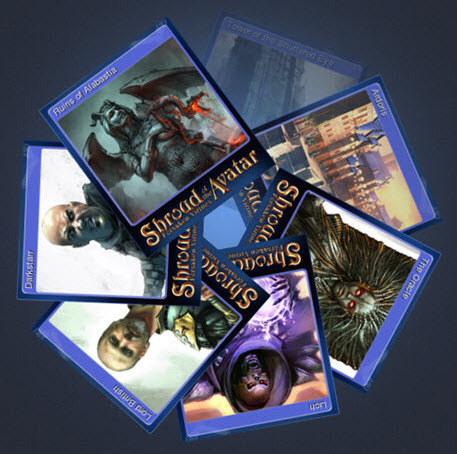 Feel free to download a copy of kit from the Ultima Codex site and have a go at putting some Forsaken Virtues flair on your own site! 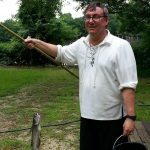 Last year while attending Dragon Con one of our Developer level backers (and a longtime Ultima fan), Dr. Aaron Lanterman, invited Richard and Starr to speak at Georgia Tech where Dr. Lanterman serves on the faculty of the School of Electrical and Computer Engineering. 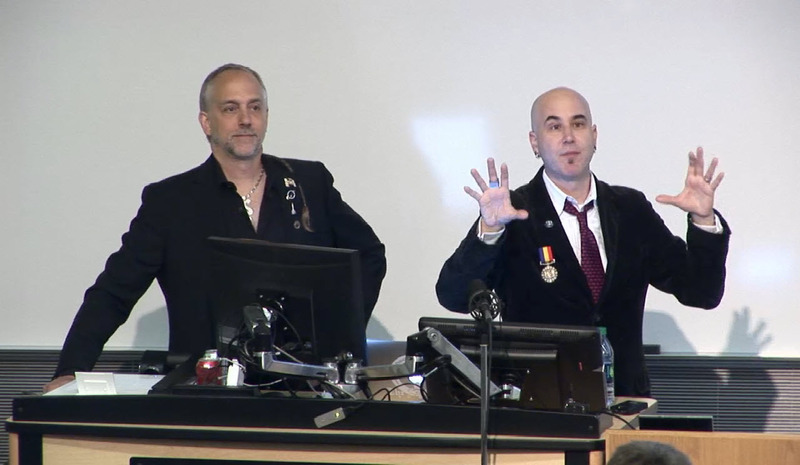 The title of the talk was “Video Game Development: Past, Present, and Future” and was combination of two different talks including Richard’s Unite Keynote and Starr’s “Tech Trends in Videogames”. Marion Crowder, Lead Instructional Media Designer in the School of ECE, recorded and edited the talk for our viewing pleasure. In preparation for an upcoming publishing agreement with a major book publisher, the Blade of the Avatar novel, both digital and printed versions, are expiring on May 31, 2015. After that date, BotA will be removed from the Add-On Store and from the Pledge Rewards. All backers with pledges containing the BotA reward that pledged prior to the expiration date, or that purchased it from the Add-On Store, will still receive that reward when it comes available. Be sure and check out the Release 17 Events thread in the SotA forums for additional events that may not be included here. Go to any bank to claim your Add-On items and Pledge rewards. 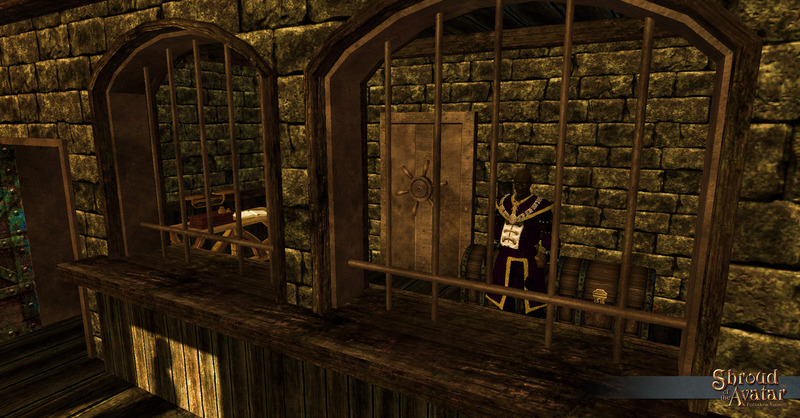 There is a banker NPC in every map where there is player housing because when you switch houses or unclaim a lot, all the decorations will go to your bank. In most locations the Town Crier is now also a banker. Your bank inventory size can easily be upgraded with in-game gold, with the price in gold increasing the larger your bank gets. For those that need/want really big banks faster, we’ve added a Bank Upgrade to the Add-On Store. Currently, each Bank Upgrade adds 10 more slots to your bank inventory, but that number is subject to change based on game balancing needs. The 4B Maze built by Net, Riya and all of 4B (Britannia’s Builders of Bemusing Bewilderments) is an absolutely aMazing structure. 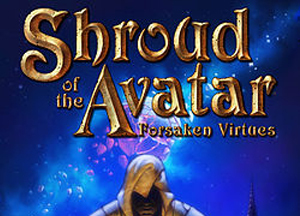 The video captured by Arianna shows just how dedicated 4B is to bring us interactive art and mystery in Shroud of the Avatar; it takes my breath away. The Maze has a long history in PaxLair back as far as Release 7 (June 27, 2014) in Valemark. We coined the slogan “Don’t Blame the Maze”. In essence, the Maze stresses the decoration mechanics from lighting to materials which affects load time and stability. We believe the designers have learned much from 4B’s Mazes while we players have enjoyed figuring out how to get through the mazes. Thanks! Birko’s map is fabulous! I am awestruck by such artistic talent to visualize, sketch out and paint landscapes like that. I am a stick-man figure artist at best. Wonderful! 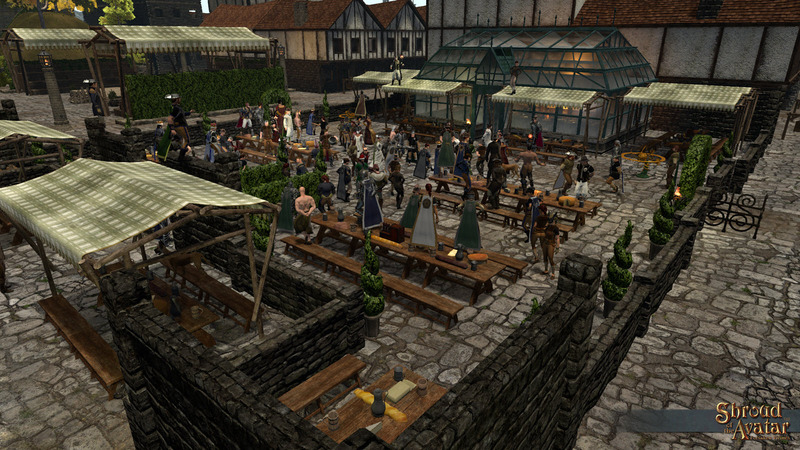 I see the image from Wody’s bar at the FireLotus Release 17 Party in PaxLair. 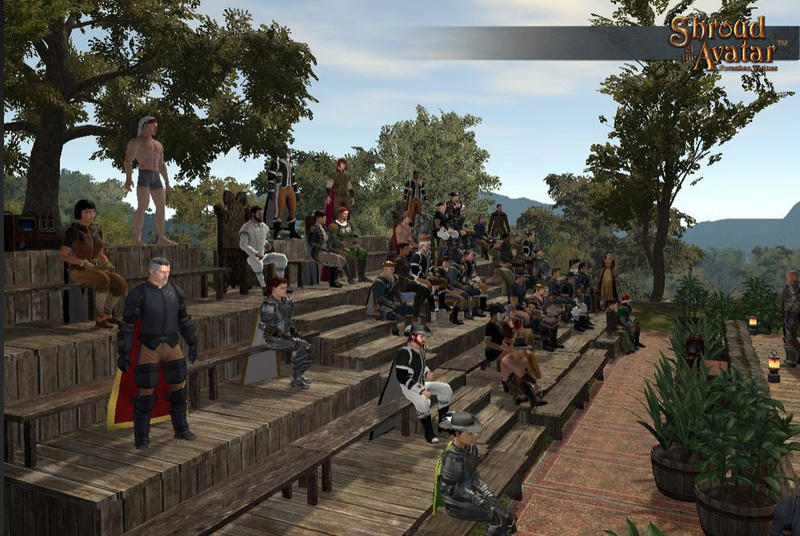 There were more than 100 people there on April 30, 2015 including Lord British, Darkstarr, FireLotus and many Devs. It was great fun! Wody’s Bar (of the Phoenix Republic) has become synonymous to ‘great times with great people’ these days. Come visit! 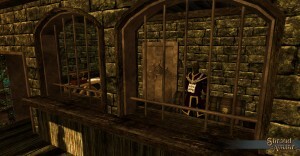 Winfield is correct that the mazes have stressed the game engine performance more than just about anything, which has been a great help to us in improving performance. This particular maze in R17 stressed our system to the breaking point again with the high number of interactive container objects (i.e. the cabinets) used to construct the 3D aspect of the maze. We have given ourselves the task of creating a variety of “building blocks” that can be used to construct mazes (and other things), and these blocks will not stress the engine the same as interactive container objects (like cabinets). Look for these building blocks in a future Release.